Luca's birthday party! | Cosa Mi Metto??? Friday we celebrated Luca's birthday with same friends of ours, we drank and ate some cakes at our home, and then we continued the party into a disco here in Napoli, the Teatro Posillipo. What do you think about our Santa's looks?? So much fun!! Venerdì abbiamo festeggiato il compleanno di Luca con alcuni nostri amici, abbiamo brindato e mangiato dei dolci natalizi a casa nostra, e poi abbiamo continuato a festeggiare in una discoteca qui a Napoli, il Teatro Posillipo. Che ne pensate dei nostri look da Babbo Natale? Che divertimento!! Awesome outfit. You look so pretty. Wow. What a fun celebration. Luca is so lucky to have great friends. you are beautiful ! :) good photos..
You look amazing. I hope you had a great day! WOW... You are stunning... look so beautifull!!! Mery Christmas, happy holidays darling! LOVE your outfit! Great skirt! Happy Birthday to Lucas. happy Birthday to Jesus. Thank you so much! :) Already following you! 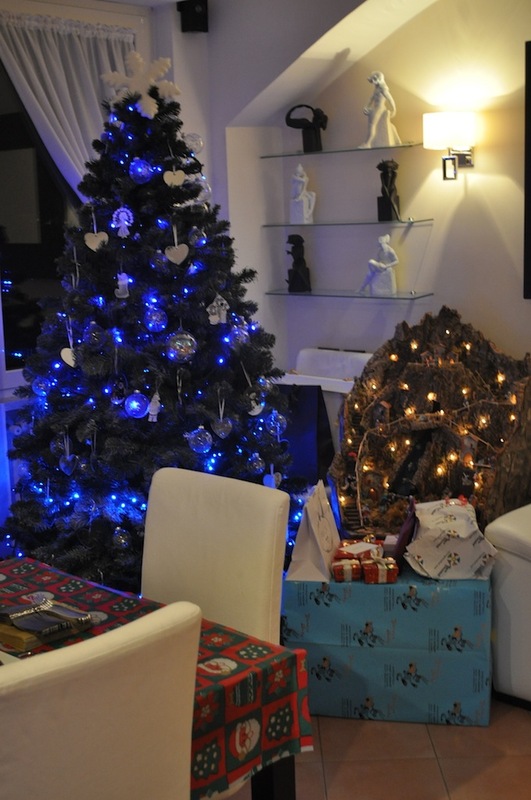 Very nice pictures, you seem to be having great holiday :) Merry Christmas BTW! Beautiful photos <3 I like it ! We wish you a merry Christmas too! You look great... So you're from Napoli. My father and sister lives in Grottammare... I hope to visit someday... Merry Christmas, Fabrizia. Great festive outfit! Looked like a great celebration. Very pretty outfit! I love your sequin skirt!! Merry Christmas! Che bella festa, ancora tantissimi auguri a Luca!!! Happy Birthday and Merry Xmas!! Today in my blog new post up! I'm waitting for you! hair <3 are beautiful ! So sweet and love the boots and sequins skirt!!! following you for sure!! Thank you for all your fabulous comments! You looked great my dear, and still are! I am sure you had a great time! Happy Birthday Wishes to you! Wow! Your birthday image is really fantastic! Thanks for sharing.